Children are inventive in their use of ordinary everyday objects to create imaginary play situations. Sometimes a stick, a rock, some string can be combined into hours of fun. Adults alike enjoy and learn from playing with objects. Brainstorming, designing, and developing innovative concepts for play challenge designers’ creativity. How does a designer tap into the understanding of a toy’s niche in the marketplace, along with the needs and wants of the target audience? Toy engineers work with manufacturing processes, materials, safety, and cost considerations. Toy designers work with industry professionals to imagine, create, prototype, experiment and synthesize new definitions of play. Rather than create a brand new toy, how about re-using something in a new way? Recycle an everyday object into a toy. What do you have at home right now, which could be fashioned into something really fun and engaging? Is it a sock doll? Is it a wooden spoon and foil ball? Is it paper clips and a cup? Is it a wire hanger and a rag? Is it simply paper and scissors? If you HAD to play with something, what could you play with? Reconfigure two new toys out of existing materials around your house. Sometimes the ordinary can become something extraordinary! Activity 2 – Design A New Ball! 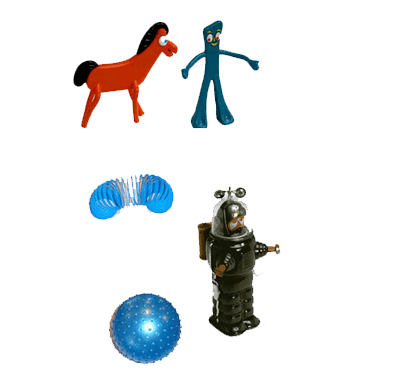 Round objects to toss about are one of the earliest forms of toys. Think about all the balls that you have already experienced in your life. Marbles, tennis balls, softballs, footballs, baseball, gold balls, rubber balls. How could you create a new ball? What material would you use and what would it do differently? The game of Jacks is a timeless game. In this game the player ‘drops’ the jacks on a flat surface; then the player must toss the ball and during the time it takes for it to bounce one time, he or she must pick up the jacks , first one at a time, then progressively in twos, threes, etc. When picking up the jacks, only the jacks being grabbed must move. If any other jacks are moved or the ball is dropped or not caught, it is someone else’s turn. Consider what each jack should look like. Develop the kind of ball and carrying case. Create a new marble game with new rules. Use your imagination. What would YOU like to play?!! Building blocks continue to be a favorite toy. They come in all shape and sizes and sets. Take a look at Froebel Blocks. Take a look at Kapla wooden planks. Coloring and Activity books are also a form of toys. Think about what kind of book you would like to create. Concentrate on an age group to prepare appropriate information. Create at least three activities using local images and facts. Create a word puzzle, treasure map, and find that photo search, scavenger hunt, matching card game. Make a coloring activity book about your neighborhood or even houses on the street. Use what you know to find out what you don’t know! 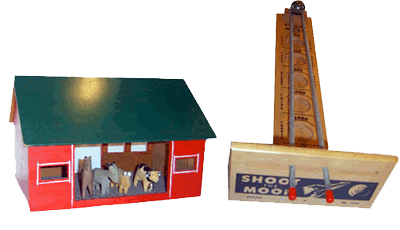 Moving toys, or objects that move, respond, shake, jump, flip-flop, etc, when pulled or pushed or ‘turned on’, have fascinated toy designers and children alike throughout the the ages. From the mysterious animated fortune teller at the fair to the spinning top, things that move raise our curiosity and open our sense of delight. These industrial design students built moving animals.. What will you build? Think about movement types such as spinning, locomotion, opening and closing. 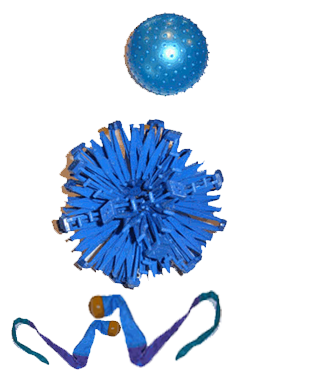 Work with different materials and different joint mechanics to create a moving toy. There can never be enough toys! 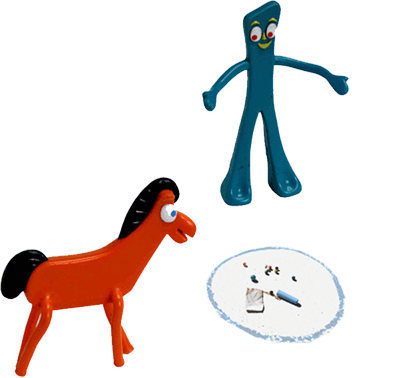 Some toys are just silly and make us laugh! Baby toys should be safe to put in your mouth. Some toys are fun for players of all ages. Toy Design Class in College?!!! What can Legos teach us?